Do you need ideas for how to keep your kids busy and entertained this summer? 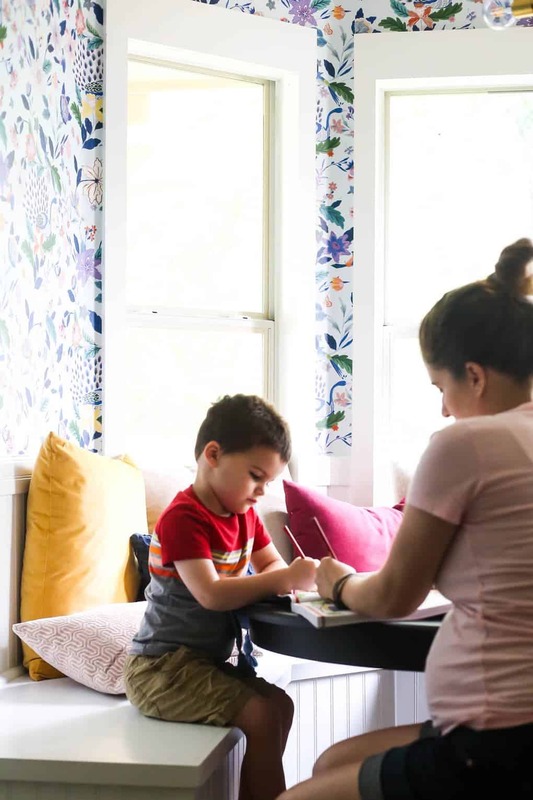 I did too – that’s why I put together a (slightly nerdy) summer schedule for kids so that my preschooler could stay busy and I can get some work done too! I mentioned on a recent Instagram post that I am a big fat nerd who has created a spreadsheet schedule for our summer to keep us organized and busy throughout the day (without relying on screens too much). There was immediate interest in learning more about it, and when I asked in my Instagram stories if you’d like to see a full blog post all about our big, dorky schedule the resounding answer was yes, please! So, here we are. I’ll kick this off by saying I know this is very Type A of me, and that many of you will be rolling your eyes at the scheduled summer days. I understand that many people like to keep a loose and free schedule during the summer – and I totally respect that! I, on the other hand, go a little bit crazy when I don’t have a plan (and my kid is the same way) and I know that if I didn’t schedule myself at least to some extent, we’d all lose our minds. I may have left my teaching job to be a full-time blogger, but that doesn’t mean I’m not a teacher at heart – I just can’t help it, I’m a planner! The first thing I want to say about the summer schedule is that it’s going to need to be very individualized for your family’s needs and interests. For example, Jackson is super into crafts right now, so I’ve made that an integral part of the schedule on purpose. He also has swim lessons twice a week, along with a few other local things I’ve found. I’m going to start by talking more generally about how I found the activities for our schedule and then we’ll dive into what ours actually looks like – hopefully, that will allow you to replicate the process a little more seamlessly and find something that works for your family! The #1 place I recommend looking first is your local public library. Ours is always stuffed full of completely free events for kids during the summer and we spend a ton of time there throughout the summer months. Just by checking my library’s Facebook page for upcoming events, I was able to see that every Tuesday there will be some sort of performance at the library (like jugglers, kid concerts, or a reptile show) that Jackson would love. There is also a weekly story time that he loves attending when he can, along with time for kids to come up and build Lego’s and other fun activities. Our library also puts out a monthly calendar that you can grab when you’re in there – give that a quick look each month to make sure and jot down anything you’d like to attend! Next up, I like to look for Kid’s Summer Movie Camps. Many theaters (like Regal and Cinemark, along with the more regional Alamo Drafthouse) offer $1 movies for kids weekly throughout the summer. They’re generally older movies that have already been released on DVD, but I know Jackson doesn’t really care about that! Now, I realize that technically this is a “screen time” event, but as a former Life Skills teacher, I’m a firm believer that going to the movies teaches very valuable skills and has importance beyond what you might expect. By going to the movie theater, kids learn social norms for how to behave in that setting (sitting still and quietly throughout the movie, waiting in line for your ticket, how to figure out which theater you need to go to), and can also learn important money skills or other life skills if you take the time to make it a learning opportunity. Kids don’t realize they’re learning important skills that they’ll use the rest of their lives – they just think they’re getting to go watch a movie on the big screen! But, with a little thought and effort, it can be a super valuable and educational experience. My research told me that between the 3 different theaters in our area that offer $1 movies, all of them had a showing at a common time – Wednesdays at 10:00. So, I wrote that down as a recurring event for us, knowing that we could switch up the theater we visit based on what movie we want to see. Check local stores for “Kid’s Camp” type activities. I recently learned that Michael’s offers a fun summer program called Camp Creativity where you can go in up to three times a week during the summer for a fun kid’s craft – it only costs $2 for Jackson’s age, so we’ll probably be going weekly! Other local stores may be offering similar activities, but if you know of any national events like the one at Michael’s, please let me know and I’ll add it to this post! I knew that 3 times a week would be a bit much for us, so I chose Mondays as our “Michael’s Day” and jotted down the time. And finally, ask your friends! Obviously, in an ideal world you wouldn’t be spending every day alone with your kids and no other adults, right? So, check in with your circle of friends and see if anyone is interested in setting up a weekly playdate. 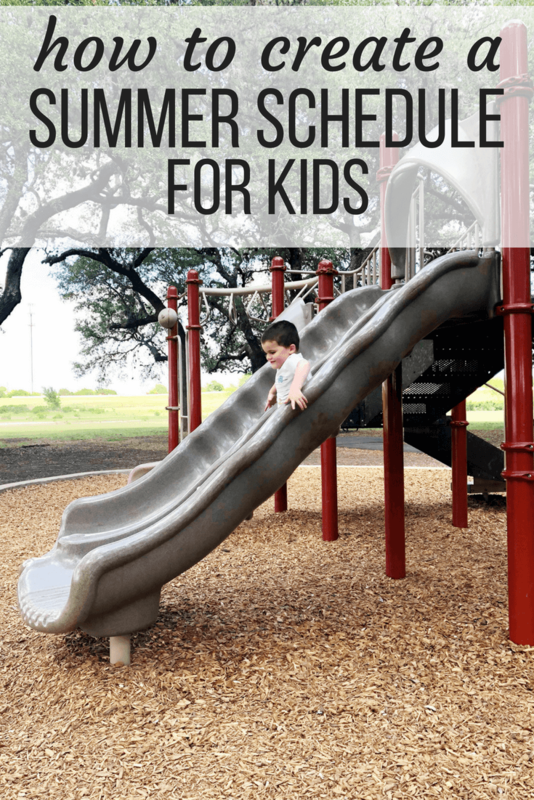 My group of mom friends has done this in previous summers and it works well – we choose a central location (like a park or the splash pad closest to all of us), and set a time and day. Each week, whoever can make it will show up to let the kids play and get some adult time. It works best if you have a larger network of people to invite (so there’s always at least someone there), but even if you only start with 2 or 3 other people it’s worth trying! Check your local Mom’s Blog. I’m not sure if every area has this, but I believe it’s a pretty common concept in most larger cities. 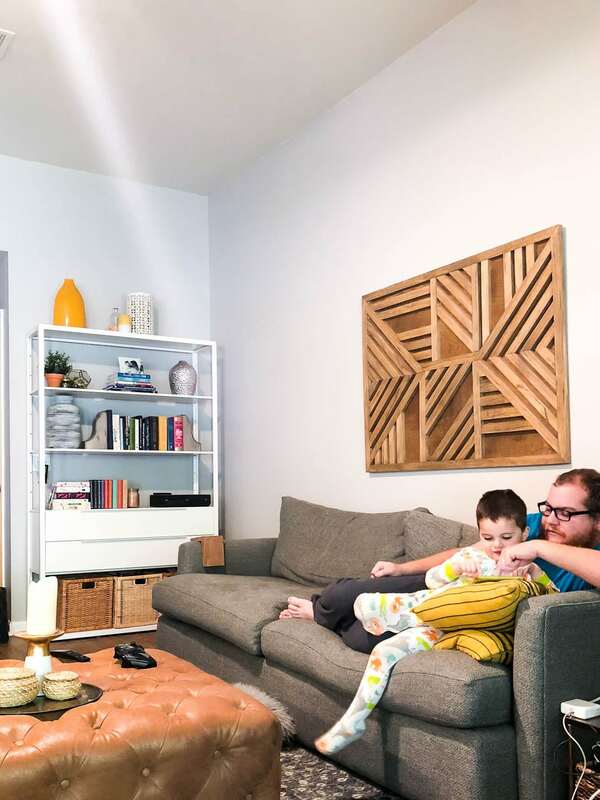 We have a couple of options here in Austin – there’s the Austin Mom’s Blog, along with Free Fun in Austin, both of which are great resources for finding free or affordable activities in the area. I use these resources to gather ideas both for big, one-time events (like a summer festival or concert) and also for places we can go on “field trips” – they should have lists of museums, local splash pads, or other fun things to visit that you may have never seen before. Consider summer camps or Vacation Bible School. For school-aged children, the options for fun activities during the summer are almost limitless! Summer camps can get expensive quickly, but if you do some research you should be able to find a few affordable day camps that work well for your family. We’re also big on Vacation Bible School – I always volunteer, so Jackson doesn’t have much say in whether or not he attends, but he loves to go and it’s a great way to fill up an entire week. Populate a list of at least 20-30 events, places, and activities to try. I always like to have more things on my list than we could possibly do (so I’m not scrambling for ideas if something is closed or we aren’t in the mood), so I shoot for a long list of things to check out so we’re never low on options. This is where my spreadsheet schedule comes in particularly handy – I started a separate sheet within my spreadsheet with a column for free places to visit, cheap places to visit, and places that would require a little more money (think, any adventure that would set you back more than about $20). I also included a list of one-time events not to forget (like Vacation Bible School, family vacations, or pre-planned outings with friends). Here’s where things get really nerdy. Once I gathered all of my ideas for how to keep us busy during the summer, I set out to make an actual daily schedule to keep me on track. This is how I always laid out my classroom schedules back when I was a teacher, so I think it’s just ingrained in me and is the best way to make sure I don’t go completely insane during the day. I include a column for each day of the week, and the rows break down the time I need to fill in 30-minute increments. Then, I started to slowly fill in the gaps. I began with creating a simple morning routine. I always work out in the mornings and Jackson likes to “work out” with me. I typically let him have some time on the iPad while I’m getting dressed, and then he is generally happy to play by himself for a bit (or play games on the iPad) while I catch up on a few work things – this is the basic schedule we have followed all school year (since he doesn’t have to be at school until 9:00), so I essentially kept that the same. Around 8:30 was where I needed to start truly coming up with ideas. I started by setting aside some time for Jackson to complete his chores, which also allows me some dedicated time to take care of a few cleaning tasks (need some ideas for chores young children can do? I’ve got you covered!). Then, because I’m a mean teacher mom who thinks learning in the summer is important, I added in half an hour in the mornings for us to work on an educational activity. Jackson adores doing workbooks and coloring pages, so I ordered this preschool workbook for us to do together. He knows it’s a special workbook just for his morning time with me, so it makes it a little more fun and exciting. We try to do 1-2 pages from each section of the book (which includes things like pre-writing, letters, numbers, and other pre-academics), and so far I’m finding that a half-hour is just about perfect for his attention span. The final piece of our morning routine is something I consider hugely important – sustained, independent, creative playtime. No screens allowed. This is in our schedule partially because I’m in need of time to accomplish some work, but also because I’m a big believer that it’s vital for kids to be able to play on their own. I set aside an hour each morning for this playtime – Jackson generally does very well but I do typically end up taking a few breaks here and there to play with him for a moment, help him with something, or give guidance on what he can do. It will get easier as he gets older, but it’s a skill that I don’t want to give up on! Typically, he plays with Lego’s, heads outside for a while, or chooses some other toys to play with. We’ve been doing it long enough at this point that it’s rarely a challenge for him to entertain himself for an hour! Here’s what the schedule looked like with our morning routine added in (you’ll notice that my morning work time doesn’t happen on days where we have a weekly event planned – I’ll take care of that in a minute to ensure he has some independent play time and I have some independent work time each day). Next up I needed to find time for things like lunch and grocery shopping – you know, the things that have to happen no matter what. I also used this time to add in an hour-long work/independent play session on the days that didn’t already have one. As you can see, at this point the schedule was looking pretty complete – not much left to do! All that’s left to do is to fill in the gaps in the schedule. I knew that I wanted to set aside one day every week for us to do some bigger things together – essentially a field trip day. Some days we’ll take this time to meet up with friends, some days we’ll go to a museum or out for a special lunch adventure together. This is where my list of 20-30 places to visit will come into play! I also set aside some dedicated time for crafting and/or cooking together, taking trips to the park, or having playdates with friends. As you can see, most afternoons are my work time. This is how we usually operate in our house – we limit any screen time in the mornings (he just has a bit while I’m showering after my workout), and he generally has the option of watching a movie or television show for a while in the afternoons (though, he typically tends to bounce back and forth between the screen and playing outside – he can’t resist the call of the backyard sometimes!). We aren’t particularly stringent about television time around here (both Corey and I remember watching copious amounts of tv as kids! ), but we do try to keep it to a reasonable level, and we closely monitor what he watches. Most days, I limit the majority of his television time to educational programming – anything on PBS, Magic School Bus, etc. But, like just about every family, we definitely have days of pure junk-television-watching. It happens! And with that, I’ve got a fully-filled-out schedule that will keep our days varied and fun, and also allows plenty of time for me to get my work done. You may notice that my schedule ends at 5 – generally speaking, this is when our evening routine begins, and I don’t need any additional support from a schedule to fill that time! I close my computer for the day somewhere between 4:00 and 5:00 and begin cooking dinner, cleaning the house, and taking care of other little chores. The television usually goes off around this time as well, and Jackson will either help me or go play outside for a while. Dinner is served right around 6:00 when Corey gets home, then 6:30 starts the bathtime, pajamas, brush teeth, and bedtime routine! This is an additional step that you may choose to skip, but it’s been really helpful for me when it comes to the day-to-day planning. I created additional sheets within my spreadsheet for each month of the summer and I’m using it to keep track of what exactly is happening when. I started by putting in any family vacations, Vacation Bible School, that sort of thing, and then at the beginning of each week I go into the calendar and fill out the details for what we’ll be doing. For example, where are we going on our field trip? What craft will Jackson I do together? Are we going to the park or the splash pad? Do we have any play dates? This helps prevent me from scrambling to figure things out at the last minute, and makes life a lot easier. I use a combination of Pinterest and Teachers Pay Teachers to come up with ideas for crafts and other learning activities to do together – you don’t need to be a teacher to sign up for Teachers Pay Teachers, and I always use the “free” filter to find free printable worksheets and activities. I’ve used this resource for years in the classroom, so it’s kind of fun to be able to use it now for Jackson! What About When Life Gets in the Way? Listen, I know what you’re probably thinking. It’s summer! Things come up! 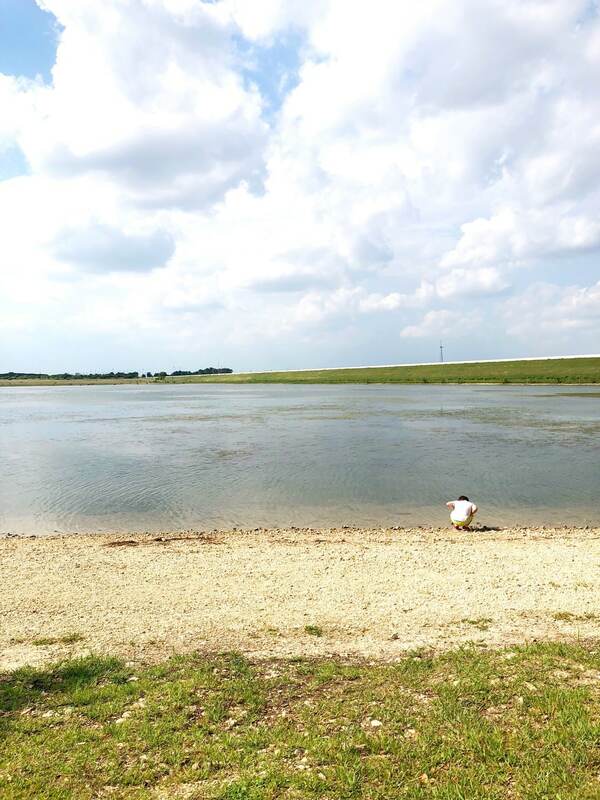 Maybe you need to run an unexpected errand, or a friend invites you to the pool at the last minute, or you decide to take an impromptu nature walk that lasts for an hour. The schedule doesn’t allow room for that! That’s because the beauty of the schedule is in the fact that everything is over-planned. Hear me out: wouldn’t you rather have too many options for things to do during the summer than be sitting around with kids going crazy and trying to rack your brain for ideas? That’s why I love having a fully-planned schedule. Of course we deviate it on a weekly (sometimes even daily) basis. Of course we drop everything to go to the pool with a friend or take a trip to the park to stretch our legs. Of course I sometimes decide to scrap my work for the rest of the day and spend it baking cookies instead. In fact, in the two weeks since summer started at our house, I can think of at least three different times we’ve drastically deviated from the schedule because something came up. But, on those days where nothing unexpected happens and it’s just me and Jack all day, I’m so grateful to have this structure to fall back on to keep us happy and busy. And that, my friends, is how I created a summer schedule for my preschooler to prevent everyone in my entire household from losing their collective minds. We’re not far into summer yet, but so far I’m really pleased with how things are going and I can safely say the schedule has been a rousing success for us! I know this is a lot of information – feel free to drop any questions in the comments! If there’s any interest, I can also do a follow-up post with a quick day-in-the-life so you can see how the schedule actually functions for us at a practical level. Just let me know what you want to see and I’m happy to help! My teacher brain LOVES this! I find that in the summer when I seem to have more time available I often get less done. Also I have a small business. If I’m not careful I will spend every moment of my day working here and there on my business. This leaves me feeling like I’m always working and not spending quality time with my family. I’m making a schedule right now! Haha, YES my teacher brain loves it too! I hope it helps you keep your summer on track! This is so amazing! I am inspired. The kids and I do a lot better when we have a schedule too, I have just been lazy about creating one, but now I really want to! And thanks for the movie and craft workshop ideas. I’m going to look into both of those!